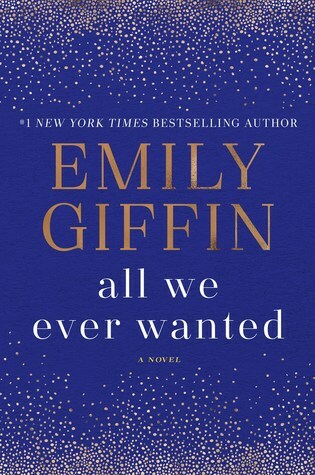 In the riveting new novel from the #1 New York Times bestselling author of First Comes Love and Something Borrowed, three very different people must choose between their family and their values. Amid so much wealth and privilege, Lyla doesn’t always fit in—and her overprotective father doesn’t help—but in most ways, she’s a typical teenage girl, happy and thriving. All We Ever Wanted was the perfect summer time beach read. It was fast paced, entertaining, and filled with dramatic flair. All of the things you want when baking in the sun on the beach! 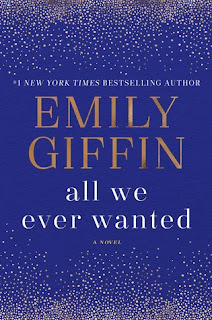 There wasn't anything super special about this novel, and I don't particularly think it was Giffin's best, however there wasn't really anything wrong with it either. It was just a simple and entertaining novel. All in all, there's not too much to say about this book. It was good, I liked it, but it isn't one that will stick in my head for long. BUT with that being said, it really was entertaining and perfect for a light and easy summer read. Thank you to Random House and Negalley for sending this novel in exchange for an honest review.